A couple of weeks ago I was invited to attend an event in Cambridge with some of my other lovely Camb Meet Up ladies at Origins in Rose Crescent. Sally from SallyMorganMoore.com planned an incredible Saturday evening event after the store had closed and I felt so fortunate to not only be with a group of really nice people for a couple of hours, but also in the Origins store finding out about the amazing products they sell. I've always been a bit useless with my skincare (e.g used to be rubbish at taking my makeup off/bad at washing my face or using face scrubs), and then a few years ago I was introduced to Origins and i've been in love ever since. 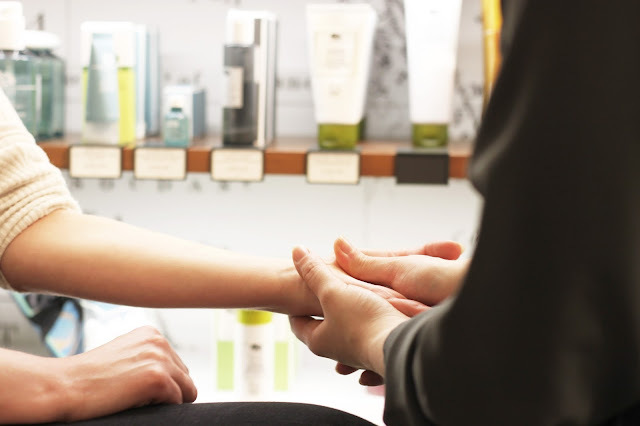 Attending an event in their store was like an evening of heavenly treatment. We learnt about the correct type of products we should use for our different skin types, the order that we should apply the products in, and how we can look after our skin better moving forward. 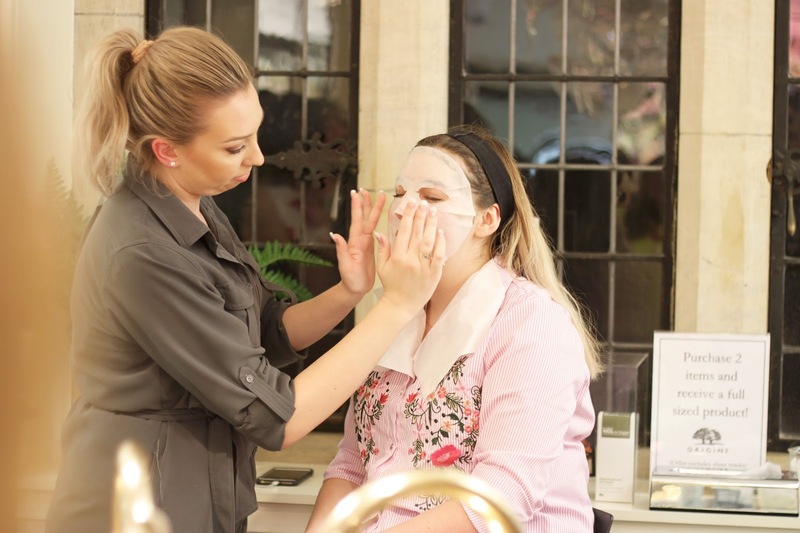 A couple of girls were used as models to demonstrate the effect of the cleansers, toners, serums and moisturisers, and it was relaxing even watching this! I had a full face of makeup on so I didn't put myself forward, but I made sure to go and feel how soft their skin was when they had finished (I got permission first!). Instead, I jumped at the chance of having a hand and arm massage. I could feel the tension being released from my hands with each movement, it's crazy how much you can de-stress from something so simple. It just shows how easy it is to make yourself feel that tiniest bit better with a little bit of self-care with some good products. I have quite dry and sensitive skin, but Origins use all natural and certified organic ingredients, which means that your skin is left feeling nourished and refreshed after using their products. I am especially a fan of the Drink Up Intensive Overnight Mask which is used to 'quench skin's thirst'. As I basically live with dry skin every day of my life, having something that you can put on before bed and then not worry about it until the morning is such a nice thing. At £26.50, I tend to use it quite sparingly - but the great thing is that you don't need to use a lot to make a huge difference. It hydrates your skin almost immediately, and if you ask anyone who uses it then you'll know that they RAVE about the apricot smell. There are so many other products that I am desperate to try, and I know that I will be popping back to treat myself whenever I can. 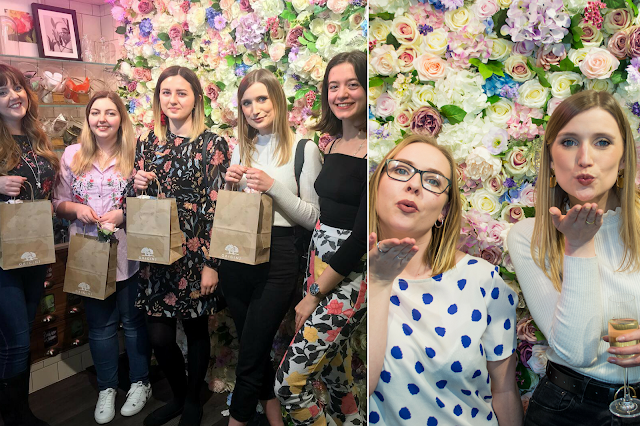 The event was a really great reminder of how nicely bloggers and brands can work together. Everyone walked away genuinely enthusiastic about Origins, and I don't think there was one person who didn't buy something special for themselves. We were all kindly given a sheet mask in our goodie bags and I am making sure that I save it for a relaxing evening in to myself. I can't wait to be able to light some candles, read a book and recharge my batteries whilst sorting my skin out. Origins aims to provide products that have a unique blend of mood-enhancing essential oils that are a pleasure to use, and I genuinely do feel that that is the case. 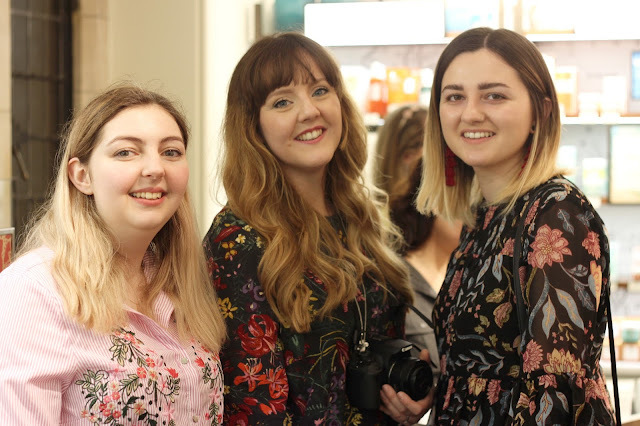 When I use their products I feel like I am looking after myself, and it was lovely to hear that this was the consensus from all the other girls at the event too. 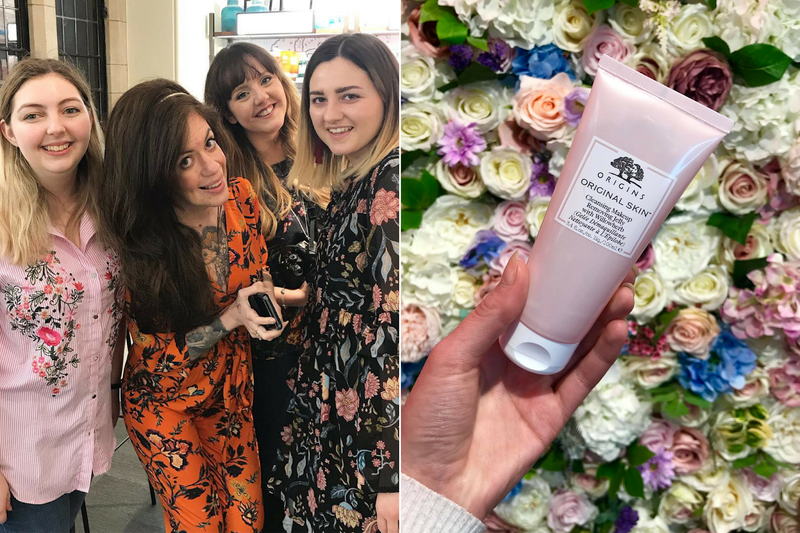 We spoke in detail about what our favourite items are and how they benefit us each differently - which just shows how vital skincare is to each and every one of us. Gutted to have missed this, it sounds amazing. Need to get back to Origins soon! This sounds like such a lovely event, just reading it has made me want to have a little spa evening for myself! I've never really tried Origins but am very tempted to give it a go now!